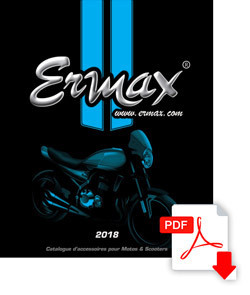 Equip your BMW motorcycle and improve your protection with Ermax accessories. The F 800 R, the F 800 GT, R 1200 GS / Adventure and others models are developed. And for completing this range, Speedmax proposes too approved blinkers with LED, approved exhaust systems, stands, mirrors, aluminium screws and various universal accessories.